I recently participated in AdPit on Twitter. I garnered two requests, one of which was from "Midnight Frost Books", on Twitter as "Crimson Frost Books". They asked for a full and directed me to their guidelines. Any request is exciting, and while their guidelines are a little daunting and weird (but they are an e-pub, so I suppose that's for e-publishing), I'm considering their request. However, I looked on Preditors and Editors: not listed. Googled them. Their website comes up but otherwise, it's books with the same name. So...how do I research them? Or is this a sign to avoid them? I'd like to think I'm not a complete guppy anymore, but it never hurts to be cautious. 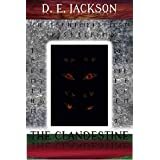 Publishing Experience:THE CLANDESTINE is available on Amazon and through Goodreads. I've been making up stories since I was little and been writing seriously since 2007, mastering my craft. I'm currently working on book two THE DESIRED. My prequel ERASED will hopefully be published soon. Anyone heard of these epub companies? There is no trick beyond sitting your arse in a chair everyday -Shawn Speakman, Unfettered. Good idea! I'll see if a MOD can move it to that forum. I would like to know more before I submit. You can also search the publisher name on Amazon and see what books they have published, what the reviews & rankings are like and use the "look inside" feature to check out the quality of editing and formatting. I found their website, they have two books for sale. One looks like a YA paranormal thriller and a kids book. Odd combination. Their website is...interesting. Very plain looking. They must be a very, very new imprint. Same with the Crimson Frost site. That's what got me researching, actually. 1. I'm not sure if I fit and 2. They look REALLY NEW...and while that's not always bad, being new to this whole thing, it does make me nervous. Definitely look really new. They requested from me, too - I'm not planning to pursue unless I get turned down by every agent and every established epub. I got a second request tonight from another agent...thinking now I might wait and hear back from the agents first, query a bit, and then think about them. Let them get some stuff out thre first. If you do decide to go Indie, don't limit yourself to just them. There are plenty of good Indie publishers out there. And a big YAY for the agent request Aightball! Crossing fingers for you. Agree with everyone here that they look a little iffy. They were all over the #adpit thread. I suppose that's a good way to get subs if you're new, but it seemed a little sketchy to me too. I also thought it was odd that they favorited me multiple times...how many people were on their feed?